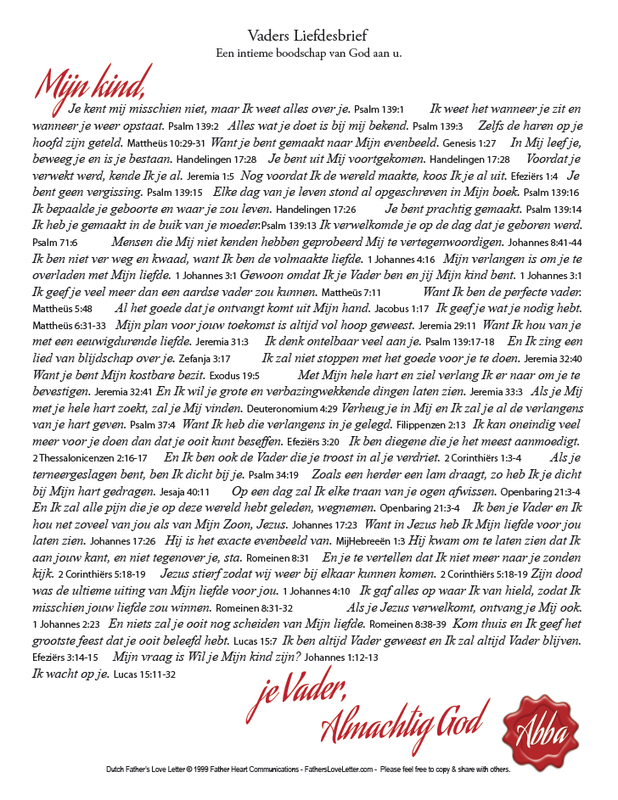 (Please feel free to copy the Dutch text and design your own version). Mijn vraag is Wil je Mijn kind zijn? 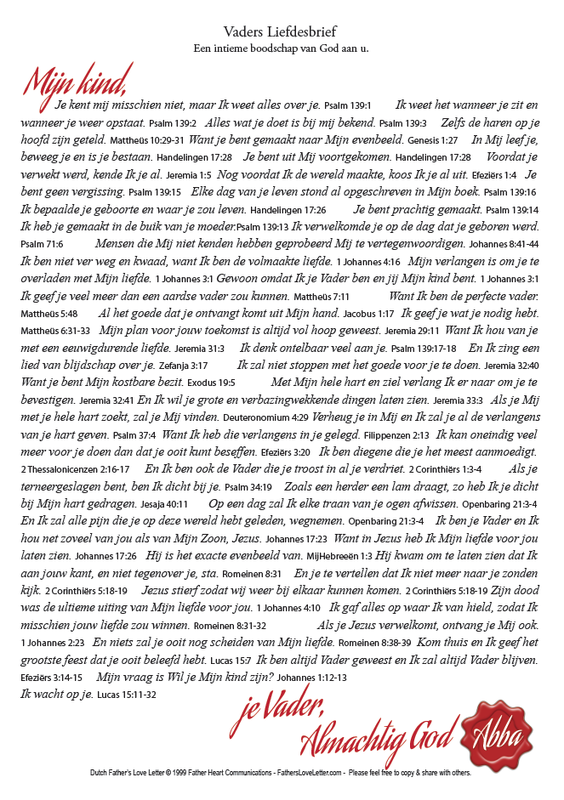 Special thanks to Bart De Kriger for translating the Father's Love Letter into Dutch.